I know I am late! 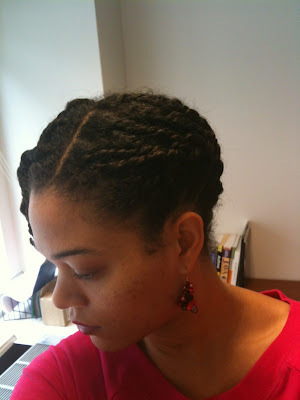 I didn't take the twists out until Saturday night instead of Friday morning. I wore this updo instead. 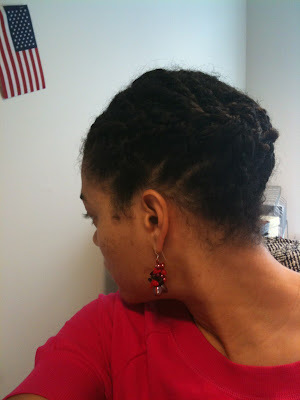 And I will post the pictures of the twist out, and subsequent updo, next. I enjoyed these twists a lot! Ha! 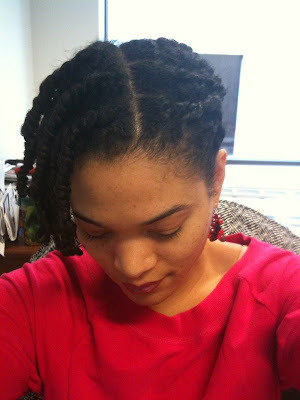 I wore this style with my twists last week! I thought I had created something, lol!